Change the way you enjoy craft beer! 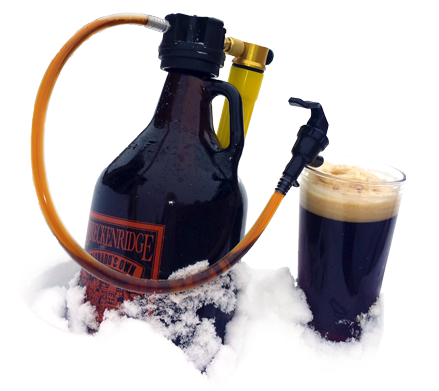 Drinking a growler of good beer should not be a race against time and inebriation. It should be an experience that you control and enjoy at your own pace. 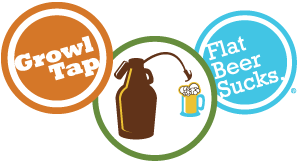 Whether you want to save the last half of your first growler of the night or your third, the GrowlTap ensures that your beer will be ready for you to enjoy the next day or the next month. The GrowlTap fits most 64 and 128 ounce screw top glass growlers. 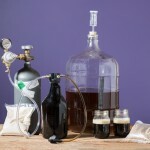 Each Co2 cartridge will last for about 5 growlers with proper use. Cleaning is simple and fast! I love my GrowTap but they should have named it the Tip Top Tap Top. I suggested that name during the Kickstarter. 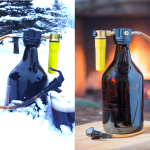 Growltap is the RIGHT PRODUCT to keep your beer fresh and bubbly! 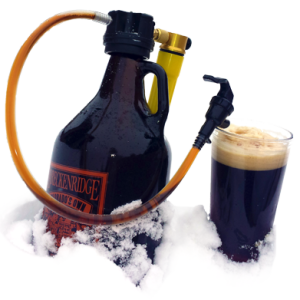 Both my liquor stores that fill growlers are impressed – – not to mention other customers. I don’t know why they don’t sell this product. So far my beer has lasted 7 days (before I drank it all) with no problem. 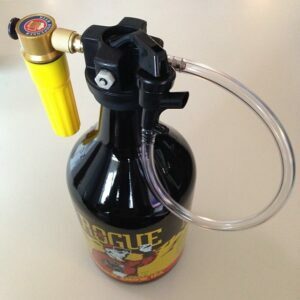 I don’t see why it would not last longer as the growler remains pressurized. I get 3 fills out of a single 16 gram CO2 canister.